The Air Jordan 12 is one of those silhouettes that make every colorway an instant classic. 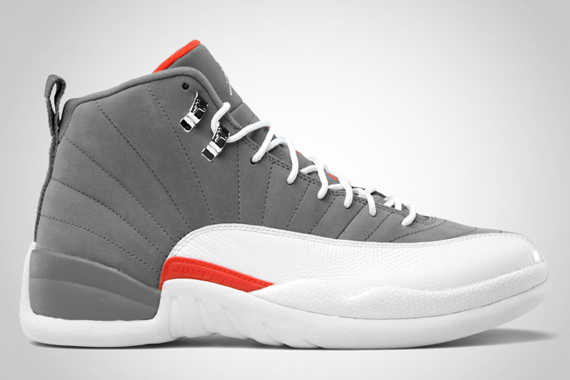 One perfect example is the Air Jordan 12 Cool Grey. The sneaker is decked out in a cool grey nubuck upper while a white bottom finishes the sneaker off. Added flavor hits of orange on the tongue and side, give the sneaker a little something extra. Just like a few other Air Jordan 12s, the cool grey colorway is definitely a sneaker you want in your collection.